Eye patches have been worn for centuries and for various reasons. First, there were patches made from black silken cloth or leather with leather or fabric string to fasten at the back of the head. Today the string is still much in fashion, whether leather or fabric, but the styles of eye patches have changed significantly. 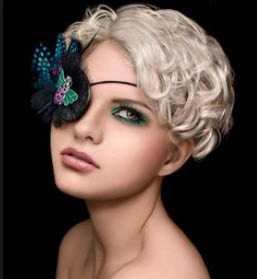 There are medical eye patches, fashion eye patches or eye patches worn just to make a statement. Medical decorative patches are made for children, who suffer from eye conditions like the Lazy Eye, Amblyopia, and Strabismus. Other medical issues which warrant the use of a patch are an injury to the eye, medical conditions that cause the loss of an eye, before and after surgery procedures to the eye and losing an eye for whatever reason that may be job-related. These eye patches are made for babies, children, and adults, as well as teens and pre-teens. The older children will have the look of a cool kid. Some of their friends are even jealous of these kids and want to look just as cool, even though they have normal eyes. The choices are so extensive and varied that you may also choose to get them custom made to fit your style and likes. It does not matter. Eye Specialists approve and recommend them because they serve the purpose they are needed for. Fashion eye patches are the ones that go specifically with what you are wearing. Adults who have to wear eye patches will have many different colours and designs to match their outfits. Professionals do because it enhances their appearance while serving the medical purpose it needs to as well. Children who want to make a fashion statement opt for these eye patches too. 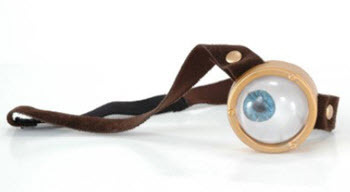 Fashion eye patches are also worn with various costumes, especially during the time of Halloween, as they help to enhance the character they wish to portray. Children and adults have a blast during this season as it helps to bring out the child in the adults. Other uses for decorative eye patches are in portraying a particular character from the movies or cartoons. Many characters over the centuries have been made famous just because they are made up with that piece of fabric or leather over one eye. It is interesting to note; these same characters are what gives designers ideas for making many of the decorative eye patches being sold today. There are also decorative patches that are made to be worn under the eyeglasses and are just as fashionable. They are made with either leather or soft materials that are not irritants to the eye, and they protect the eye from ocular movement.